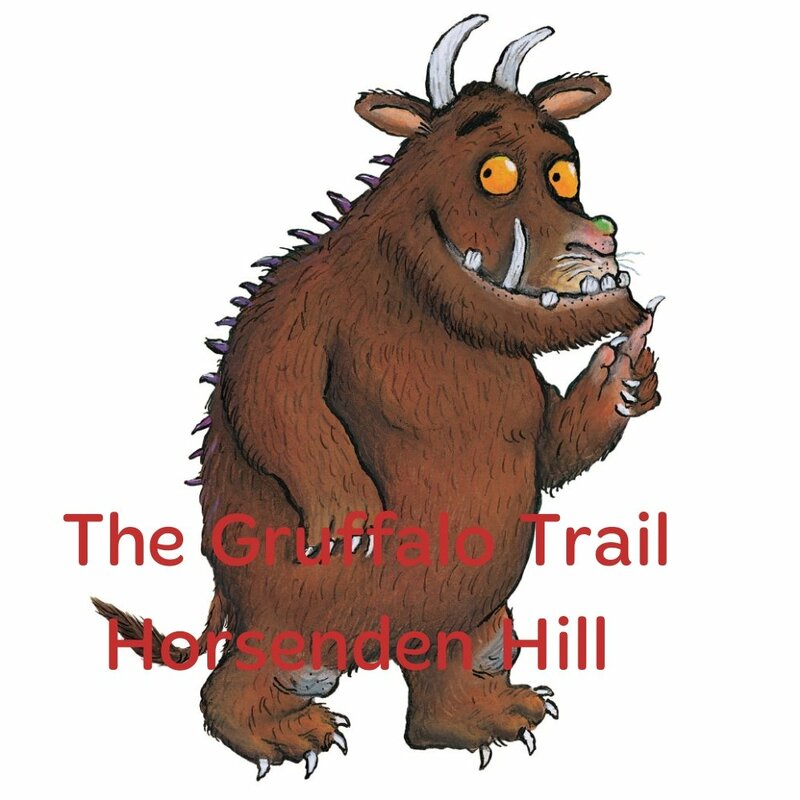 The Gruffalo trail at Horsenden Hill opened back in the summer of 2016. 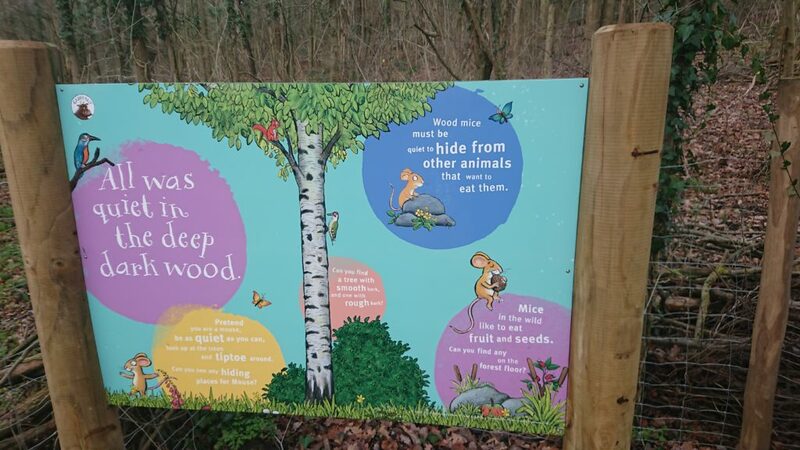 The hunt for the Gruffalo features a 7ft (2.13 m) Redwood wooden sculpture of the Gruffalo and four smaller Sweet Chestnut sculptures of Mouse, Fox, Snake and Owl, all hidden along the adventure trail pathway for children to explore, discover and learn about the features animals such as their habitat and what they eat. 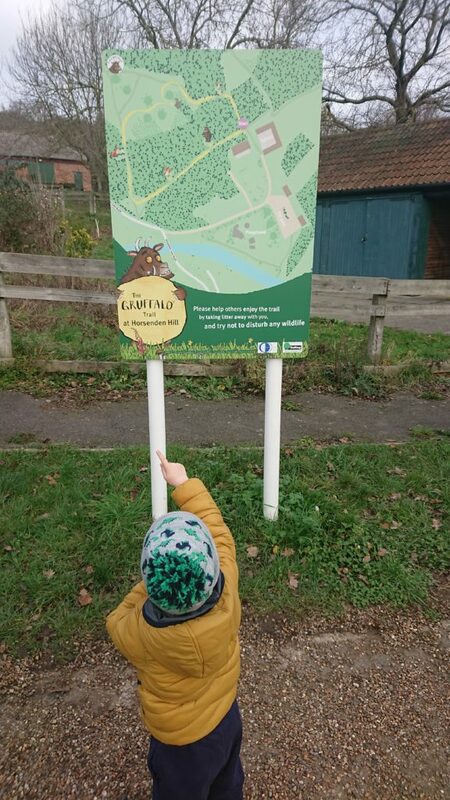 If you’ve never heard about the Gruffalo Trail, it’s Based on the best-selling children’s picture book by Julia Donaldson and Axel Scheffler which my kids love so much. The Gruffalo is the story of a cunning mouse’s walk through the deep dark wood where he encounters a variety of dangerous creatures who all want to eat him, but he scares them off with the idea of the ‘imaginary’ Gruffalo. Not only do we have The Gruffalo in book form we also have an audio CD that we listen to in the family car. Now that my little 1 is more mobile and adventurous, I thought this would be an ideal opportunity for a family stroll and get some fresh air and enjoy Mother Nature. 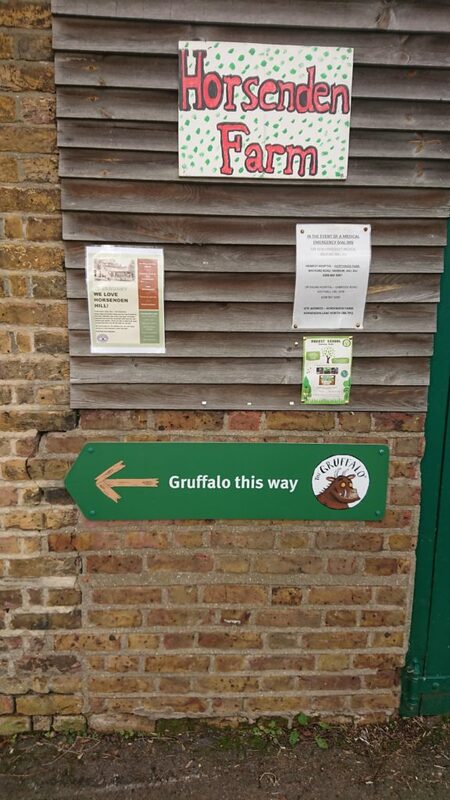 What better way to do this than hunt down the Gruffalo and his friends. We are very lucky to have Horsenden Hill on our door step. It’s like a hidden part of London that non locals really visit. People don’t plan on visiting Horsenden Hill like they would say Richmond Park or Hyde Park for example. More people should, it’s a great retreat to get some amazing views of London on a clear day, lovely woods and right on the banks of The Grand Union Canal. The Hill itself It is one of the highest points in West London — 85m (276 ft) above sea level. The trail takes you more or less in a big circle up to the fields where there are cows in summer so keep your eyes open for cow-pats or even for the Cows!! 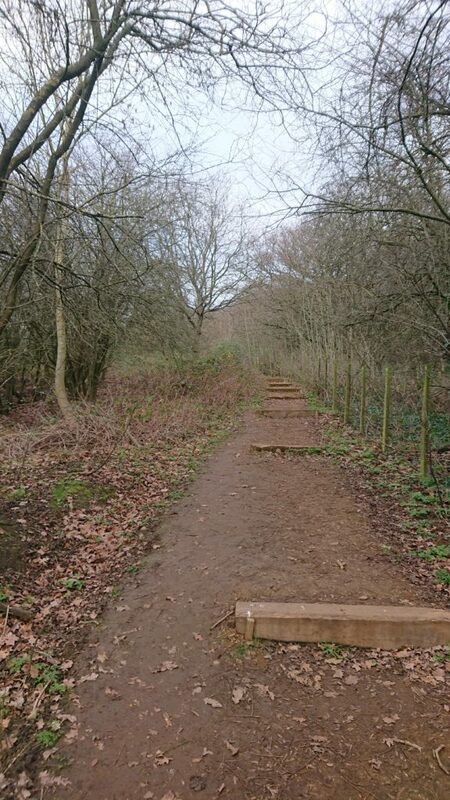 If your pushing a buggy I wouldn’t really recommend you do, as there’s not an exact path, it’s more of a muddy path and then in sections of the Gruffalo Trial there are steps down the hill and next to those steps is a gravel/muddy path running alongside the steps. Footwear would be wellies or trainers you don’t mind getting messy. Like I said I wouldn’t recommend you bring a buggy. 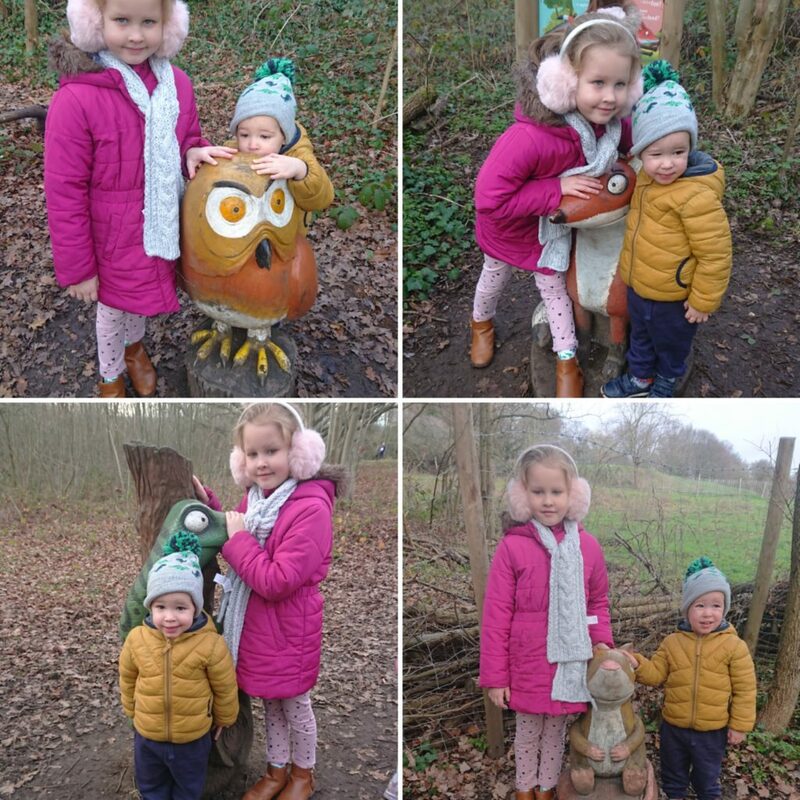 The cool thing about this Gruffalo trail in Horsenden Hill is that it is back to nature and natural, there’s no fixed pathway, the Gruffalo characters are tucked away in the trees and hedges and you do have to hunt some of them down particular the fox. The Snake is the easiest to find, you can’t really miss him as he’s not tucked away off the path, the little 1’s do really have to keep their eyes peeled and hunt the animals down. There is a map of the trail by the car park but that’s it, there’s no signs dotted around the field so you do have to actually hunt them down…. Or just follow the group in front of you who have already found them. Otherwise it could be an all-day thing hunting down Mouse, Snake, Fox and the Owl aswell as the Gruffalo himself. 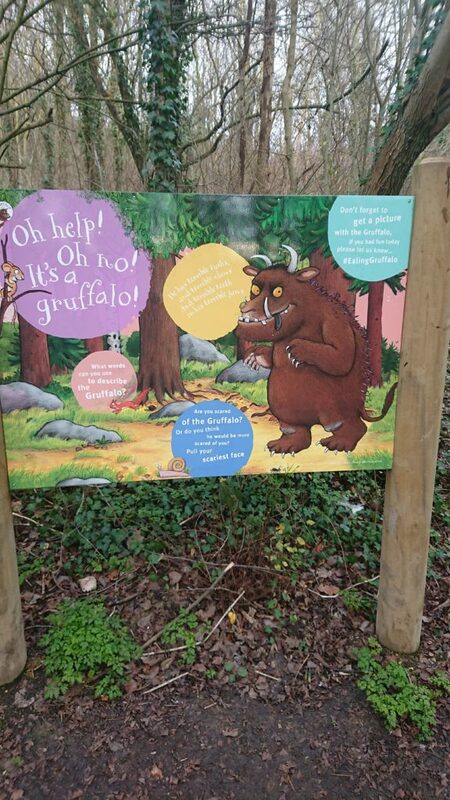 What I also like about the Gruffalo Trial are the boards that are next to each character, which explains what the individual animal likes to eat, its habit and other random facts about the animal. By car: Leave the A40 at the Perivale exit and there is a car park off Horsenden Lane North.